Take a look at SynapseIndia jobs opportunities for Business development executives. We’re hiring for self-motivated & passionate individuals to join our business development team at our Noida based office. The prominent IT solutions & services provider company in Noida, India, is looking for enthusiastic professionals who bring the ability to understand client’s business needs and can develop a tailored proposal to pitch our IT services to international clients. If you have the ability to identify new business opportunities & can generate potential leads for business, we're looking for people like you to join our like-minded team of business development professionals. 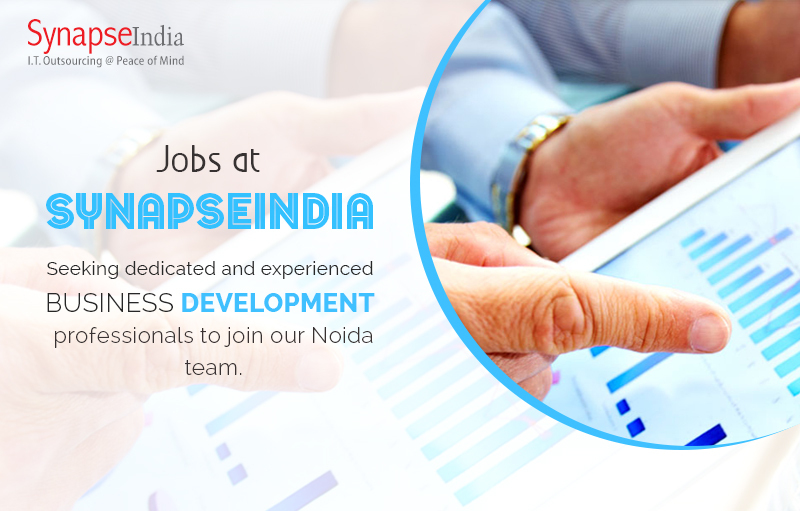 Visit our website & apply for SynapseIndia jobs.